Simply insert the washer and the screw into the female receptacle of the shaft adaptor, insert the shaft into a graphite shaft extractor, heat the adaptor and extract the shaft. The Stainless steel OEM Shaft Adapter removal kit provides you with a more efficient and safer way to remove OEM shaft adaptors from graphite golf shafts. 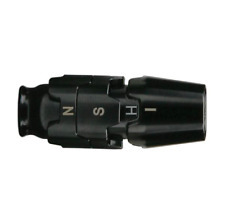 This ferrule installation tool is made from T304 stainless steel, other manufacturers use mild of other types of steel. First insert any tip weights into the shaft and dry fit the shaft into the club head. Practice your putting while in the restroom. The golf set includes a 100% polyester fibre putting green toilet mat with a plastic flag and hole, fully plastic putter with 2 golf balls and a novelty “ Do Not Disturb” door sign. 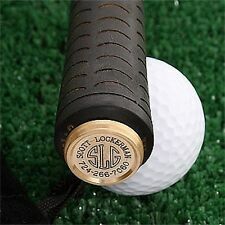 The Hosel & Shaft Protector tool is laser cut from a luminium. It also protects the shaft when applying heat to the hosel. Amazing trophy and Magazine Holder in one! Club Headcover: Blade Putter. Model: Groovy Blue. Closure: Magnetic. Condition: NEW! SKU: SEMO0046. 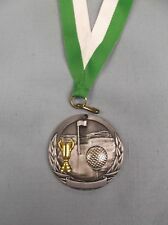 Antique Reed & Barton sterling silver 3 handle loving cup golf trophy / award. engraved Englewood golf links august 23, 1902 . presented by A J. won by J W Douner London. NEWSuperStroke Traxion CLAW 2.0 Putter Grip. Model:Traxion CLAW 2.0. Features: Counter Core Removeable Cap. Condition: NEW! SKU: SUST0185. Blue with White Polka Dots. Size: Large. I will try and respond with in 24 hours. Short Sleeve. Peter Millar Polo Golf Shirt. Short Sleeve. I will try and respond with in 24 hours. We are not responsible for. Color: White/Black (Umbrella - Red/Yellow/White/Green). Condition: NEW! NEW TaylorMade Stratus Tech Golf Glove. Model: Stratus Tech. Color: White. Fits Callaway Epic Flash, Rogue, Epic, Fusion, XR Models, Alpha, Alpha 816, Big Bertha. 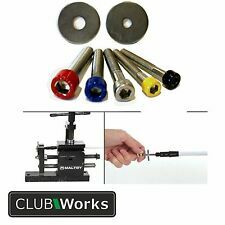 NEW Callaway Universal Torque Wrench Tool. Model: Universal Wrench Tool. Includes: Wrench Tool & Instruction Manual. Maxam® 8oz FLASK w GOLF EMBLEM Stainless Steel Flask. Features polished finish on top and bottom; brushed finish on sides; and zinc alloy fishing emblem. 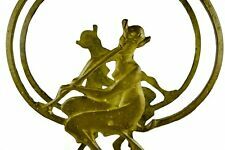 Zinc Alloy Emblem. God bless. Screw-Down Cap. Club Type: Blade Putter. Model: Limited Edition Genuine Leather “Oh Baby! Color: Black/Red/White. NEW TaylorMade Tour Preferred Golf Glove. NEWTaylorMade Tour Preferred Golf Glove. Model: Tour Preferred. Material: AAACabretta Leather. Color: White. Model: Red With Floating RST Logo. Club Headcover: Blade Putter. Closure: Magnetic. Condition: NEW! SKU: SEMO0052. 10 Range Servant Tokens FREE SHIPPING . Condition is Used. Shipped with USPS First Class Package. Please see pictures and ask questions before bidding. Thanks for looking. There are absolutley No Returns on this item! Condition: Used, No Cuts or Dings, Normal Wear Only! White powder coated finish. Self adhesive backed. NEW Ping G30/G/G400 Series Driver/Fairway Trajectory Tuning Adapter .335"
NEW Ping G30/G Series Adapter. 335". Model: G30/G Series Tip. Condition: NEW! SKU: PING3396. Club Type: Fairway Wood. Model: Disco Balls White. Condition: NEW! JAGMANJOE TURFS. Eliminates the back sloped area of Optishot and Optishot 2 to create more realistic level surface. TURFS HAVE AN APPROXIMATE TOTAL HEIGHT WHEN ON THE OPTISHOT UNIT OF 2 3/8". PRICES ARE FOR TURF ONLY! Brickyard Crossing Golf Course “Players Pass”, a $100 value towards greens fees at the famous course inside and around the Indianapolis Motor Speedway. Get this at a discount! Item has a bar code that is covered up in the photos for protection. My feedback is perfect so buy with confidence! 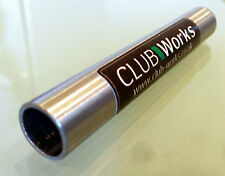 Best Impressions - Great Value Personalised Golf Gifts. PRINTED IN BLACK ON ORANGE EXTRA LONG 83MM WOODEN GOLF TEES. Best Impressions has been trading for over 20 years. We started back in 1997 printing personalised products. NEW TaylorMade Tour Preferred Golf Glove. Model: Tour Preferred. Material: AAACabretta Leather. Color: White. Logo: Masters Logo. Color: Green. Style:Opti -Color. NEW CallawayOpti -Color Leather Golf Glove. Dexterity: Left hand glove for a right handed golfer. Color: Black. 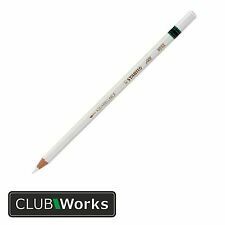 The bag includes100 small plain 54mm long golf tees. TheGolfer in the Bunker is our standard design that we will print with your wording unless you include an alternative design with your note at the checkout. MODEL SPECIFICS: iPod Touch (4th Gen) case for putter, allows iPod Touch users to attach their device to any putter and use Ping Putter App, NOT FOR IPhone 4!! MODEL: Putter App Case. Only for ipod touch. NEW Puma Pro Formation Hybrid Golf Glove. Model: Pro Formation HybridCabretta Leather Golf Glove. Dexterity: Right-Handed Glove For LEFT-HANDED Golfer. 360° rotating ball joint. No tools required for installation. Compact size fits easily in your bag when not in use. Hunting & Tactical. Tennis & Racquet Sports. Fitness Outdoors Running Team Sports Apparel Boxing & MMA. Style: OptiGrip Rain Series. Dexterity: Right & Left Hand Glove (1 Pair). Color: Black. NEW Quality Sport Tour Cabretta Leather Golf Glove. Dexterity: RH Glove for Left-Handed Player. Club Type: Blade Putter. NEW Family Guy Blade/Boot PutterHeadcover. Model: Family Guy PutterHeadcover (Peter,Stewie, Quagmire, Brian).